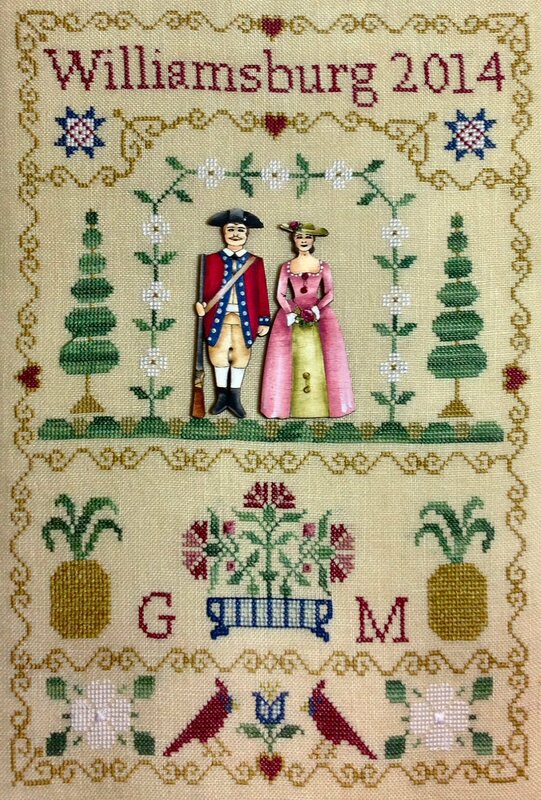 I decided to design this sampler to celebrate Colonial Williasburg (www.history.org), the State of Virginia and also the event of Annie’s Needle Arts Festival 2014. Being one of the teachers at this prestigious event, I wanted to create something attendees to the show could bring home and stitch while remembering the lovely memories and atmosphere of the event. In the sampler are represented Red Cardinal birds and Cottonwood tree flowers, symbols of Virginia State and pineapples, symbols of Colonial Williamsburg.